Kabir Singh who played a baddie in Vedalam, has signed his next film in Tamil, Rekka, featuring Vijay Sethupathi in the lead directed by Rathina Siva. A happy Kabir tells behindwoods, “Ever since Vedalam, my Tamil fans have been anxiously inquiring about my next Tamil film. I was hearing many scripts, but was not satisfied. That’s when I heard Rekka story and was quite impressed with it. When I heard that I have to play the antagonist for Vijay Sethupathi, I was doubly excited as I have heard that he is so simple and good natured. Tamil heroes are so simple- Ajith sir, Vijay sir, Suriya sir and the likes. 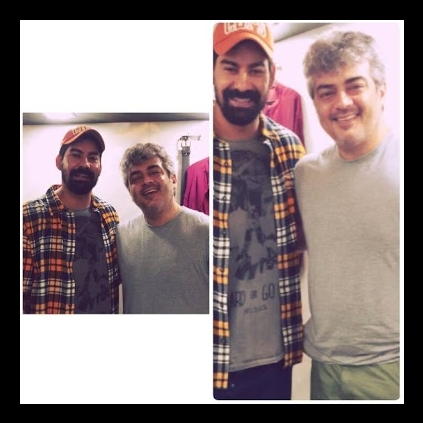 In fact Ajith sir is so simple that we ate from the same plate during Vedalam shooting. In Rekka I play the role of a businessman. I start the shooting in Chennai from 11th May. This schedule will go for 3-4 days and my part is expected to complete in June. I am looking forward to start work for Rekka. I will also be simultaneously shooting for a Kannada film with Sudeep. I am thankful to God that my career is going in the right direction and I am doing good films with good people”. People looking for online information on Kabir Singh, Rekka, Vijay Sethupathi will find this news story useful.